In stock -This product will ship today if ordered within the next 5 hours and 7 minutes. 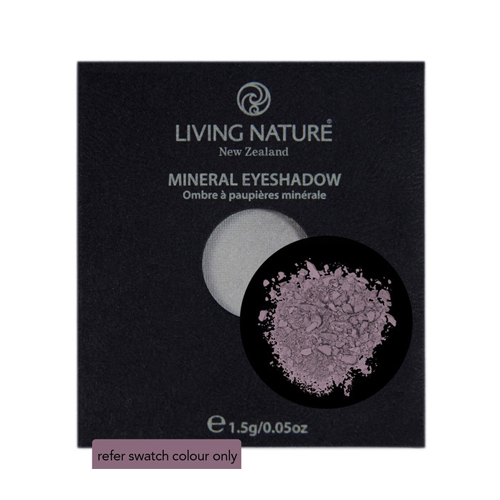 Living Nature Mineral Eyeshadow - Mist is gentle on the eyes and coloured by nature`s pure minerals. Add drama to your eyes with this beautiful, buildable mauve shade. You can purchase the Living Nature Eyeshadow Compact Here. Below are reviews of Living Nature Mineral Eyeshadow - Mist - 1.5g by bodykind customers. If you have tried this product we'd love to hear what you think so please leave a review.